The League is dedicated to advocating for and serving the interests of the membership at both the state and federal levels. The Legislative Department analyzes legislation, alerts members when pertinent legislation unfolds and promotes legislative action according to the policy established by the membership each year. Through adoption of district resolutions, The League’s membership formulates key legislative policy.  The League’s relationship with the National League of Cities assures that local governments in Pennsylvania are being represented at the federal level, as well. The League’s Policy Statement echos the critical issues facing municipalities within the Commonwealth of Pennsylvania and sets forth an agenda for their resolution. A primary League goal is to enhance the ability of local officials to govern efficiently and effectively. To assist in achieving an effective level of governance, The League serves as an advocate for the membership, offering training and assistance to municipal officials, providing research and analysis on important issues and pursuing legislative reform guided by the Policy Statement. The Policy Statement provides direction for The League when representing local government interests before the legislative, judicial and executive bodies in both Harrisburg and Washington. The Policy Statement represents the consensus judgment of municipal leaders in municipalities throughout the Commonwealth. It is a comprehensive statement of goals, principles, policies and program objectives on state and federal municipal policy matters and serves as the basis for The League’s advocacy efforts on behalf of Pennsylvania’s urban centers–cities, boroughs, home rule municipalities, towns and townships having similar policy objectives. League members are divided into six regional districts across the Commonwealth. Each year, prior to the Annual Summit, these districts meet to review legislation and consider resolutions recommending positions on policy issues. Resolutions adopted at district meetings are forwarded to The League’s Board of Directors and Resolutions Committee for review and consideration. Adopted resolutions are presented to the general membership at the Annual Business Meeting. Resolutions adopted at our 2018 Summit included: support for decriminalization of possession of small amounts of marijuana; support for an electronics recycling program in PA; support for an active role from the Commonwealth in developing a robust recycling market; opposition to state collection of the Earned Income Tax; support for an amendment to the Right-to-Know Law to address commercial requests; and support for an amendment to the Fireworks Law to allow more local control. These resolutions have been incorporated into the 2018 Policy Statement. The League’s Resolutions Committee meets once a year at the Annual Summit. At that time, the Committee considers the resolutions that originated from the districts, individual municipalities, the Legislative Committee or from the Board of Directors. The Resolutions Committee reports to the voting delegates at the Annual Business Meeting those resolutions recommended for adoption. The Legislative Committee is primarily charged with helping to implement the goals of The League’s legislative program. The Committee works with the Executive Director and The League’s legislative staff to pursue an aggressive plan of action to see legislative issues come to fruition. The Legislative Committee is appointed by The League’s President and is comprised of strategically selected elected and appointed officials who are thoroughly briefed in League policy positions and who will lobby with the legislative staff on an as-needed basis. Please contact Amy Sturges, Director of Governmental Affairs, at: asturges@pml.org if you have questions about the policy process.